A wheel is composed of three main parts: the spokes, the rim and the tire. The tire is the outermost surface of the wheel that comes into contact with the road. It connects to the rim of the tire, which is simply the outside edge of the wheel. A tire covers the rim of the wheel to both protect the rim and help your vehicle absorb shock and increase performance. Without all three parts, the safety and performance of your tires would be greatly reduced. 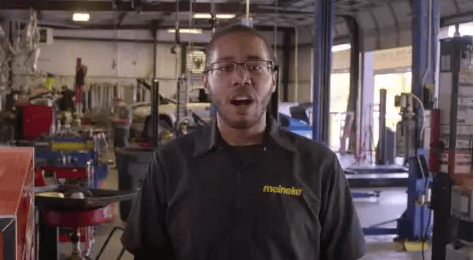 To learn about tire repair service, contact Meineke #1668 in Horn Lake, MS. Tires are one of the most essential parts of your vehicle. They act as the only point of contact between your vehicle and the roadway, so they are vital for proper safety. They can also significantly impact how well your vehicle performs. If you fail to take your vehicle in for a scheduled tire change service, you could be increasing the wear on your vehicle and lessening the lifetime of connected components. You may also be putting yourself, your vehicle's occupants and others on the roadway in danger. As tread wears down on a tire, it does not maintain as much traction, which could cause your car or truck to lose control on the road. Stop by Meineke #1668 in Horn Lake, MS to learn about a tire rotation service to prolong the life of your tires. Proper inspections of your tires should happen at least once a month. If you often drive in rough terrain or other dangerous conditions, you should inspect your tires and wheels twice a month or more. This is because tires can become worn down or damaged very easily in certain conditions. Sharp rocks or other debris can weaken tires and lead to premature blowouts and necessitate the need for a repair or replacement. Bring your vehicle to Meineke #1668 in Horn Lake, MS for an inspection and tire repair cost estimate. This will help you avoid having to search for "flat tire repair near me." A flat tire leaves you stranded, pure and simple. Yet there are other reasons why you should ask yourself "Is there a good option for tire repair near me?" long before you ever get a flat. Avoiding routine tire rotations won't necessarily keep your vehicle from driving (up until excessive wear causes a flat, that is), yet it does limit their performance lifetime. Given the significant financial investment your tires represent, wouldn't you want to get the most out of them? 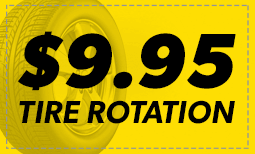 Contact us at Meineke #1668 in Horn Lake, MS to learn how a low tire rotation can save you hundreds of dollars in the long run. The great thing about tires is that they usually show clear signs when they need to be replaced or serviced. Damaged side walls may be cracked and broken if the tire is old or failing. Tread on the tire may also seem noticeably low, further indicating the need for a tire repair service. In severe cases, your tires may be so damaged, you can feel or see the belts, or insides, of the tire. Wear on one side, or not enough wear along both sides of your tire also indicates a problem. If any of these happen to your vehicle, immediately contact Meineke #1668 in Horn Lake, MS to help you safely get back on the road. Because tires are your vehicle's only direct contact with the road, they should always be kept in the best possible condition. Tire rotation cost is a small price to pay to ensure that your vehicle is safe. Moreover, you can actually increase your fuel mileage by keeping your tires well repaired and maintained. Save money in the long run by taking your car or truck to Meineke #1668 in Horn Lake, MS for inspection, maintenance and repairs. We offer competitive pricing and tire rotation coupons to help you experience the best savings possible without compromising safety.